Website Design for Financial Consultants Chesapeake VA | The TriQuestUSA team choose VISIONEFX to perform their website redesign. VISIONEFX is your trusted business partner for guiding your business through the process of creating a dynamic website. 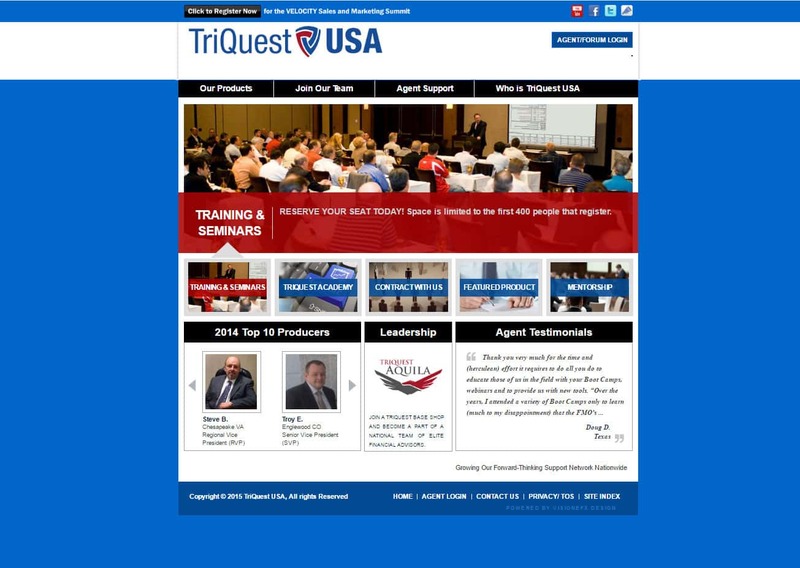 TirQuest contains an interactive online agent forum. Agent members may securely login to create a profile and share text information, Power Point presentations, Videos, Spread sheets and much more. VISIONEFX also created a powerful Joomla website design that was a perfect creative fit for their new logo. The website features rich illustrative info graphics and call-to-action boxes throughout.